As your students study California History and ranchos, they will be able to design their own brand that will symbolize their family or a rancho. 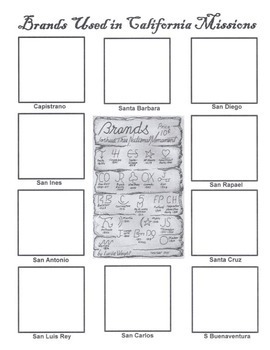 Your students will also research the different brands that were used in the California Missions and recreate them on the worksheet provided. Students will research the brands used in California Missions to complete the worksheet. 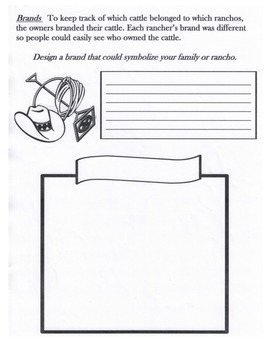 After they have tried their hand at recreating the brands, they will then design their own brand on the other worksheet. There is space to describe their brand and its meaning in detail.